Highlights of the Paterson Evening News Collection Exhibit Opening - April 15, 2015 ~ The History Girl! The Passaic County Historical Society would like to announce the opening of its newest exhibit, Highlights of the Paterson Evening News Collection. On exhibit from Wednesday April 15, 2015 until Sunday June 28, 2015, the display will showcase this newly digitized photograph collection. The Paterson Evening News Collection consists of over 16,000 images, dating from 1946 through 1972. Together these photographs offer an invaluable look at the history of Passaic County and the State of New Jersey. Over seventy photographs have been selected for this exhibit to highlight the variety of subjects incorporated within the collection. Visitors can access the exhibition during regular museum hours (Wednesday - Sunday). General museum admissions apply. 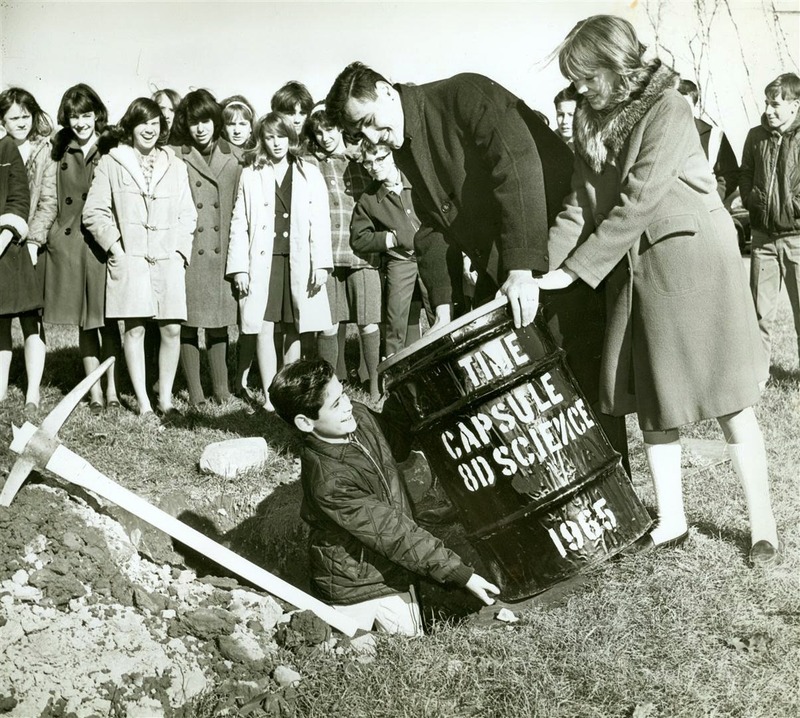 Kinnelon High School students burying a time capsule, November 18, 1965. Photograph courtesy of the Passaic County Historical Society, Paterson Evening News Collection. This exhibit would not be possible without the generosity of the Fred J. Brotherton Charitable Foundation. For more information, visit the Passaic County Historical Society’s website at www.lambertcastle.org or call 973-247-0085.